This small, silver, chainmail purse is designed to hang from a necklace. It is 2.5 inches tall and 3 inches wide. The bag has a ball closure on top and an attached jump ring for a necklace. 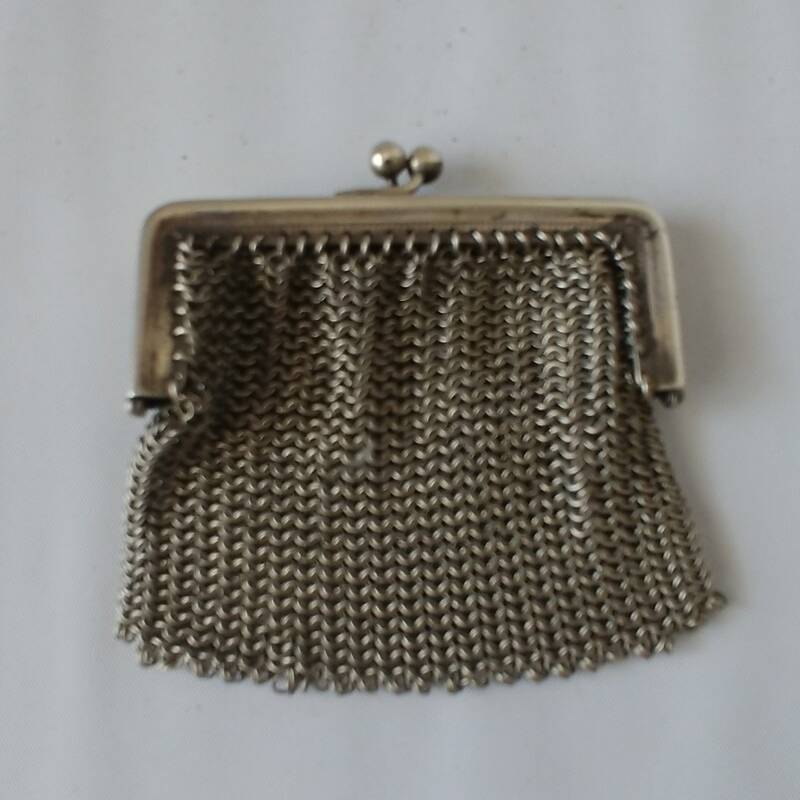 Although slightly tarnished, this vintage bag is in great condition. There are no missing links.